CnS Poses is steadily increasing the variety of pose offerings for your avatar by not only continuing to create static poses but now also poses with movement (animation) and poses with props (furnitures and scene installations). 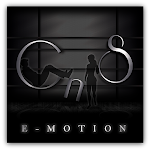 which will be - CnS e-motion. ( CnS Poses "Design a logo for CnS Poses" - discuss ) on Flickr by Friday 30th January 2009 at 3pm SLT - which is when the contest ends.